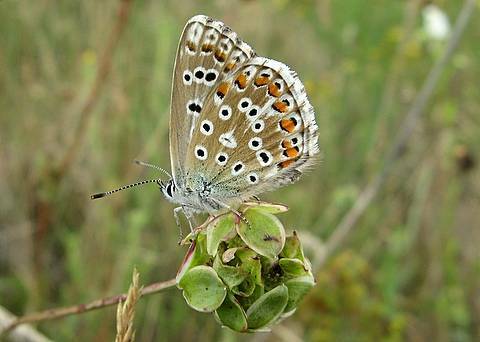 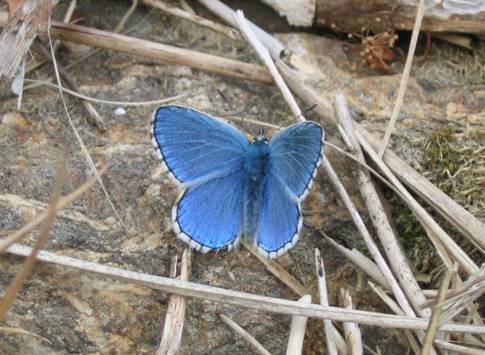 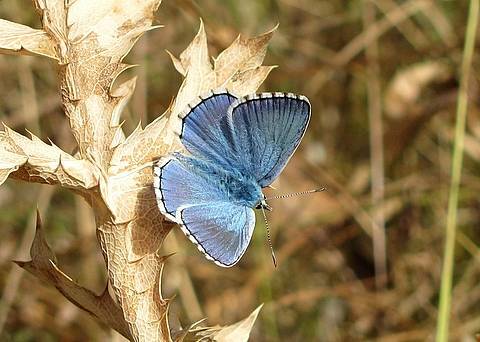 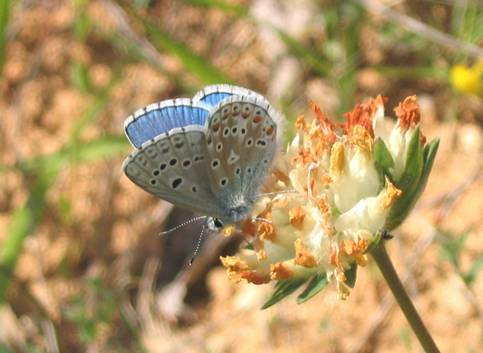 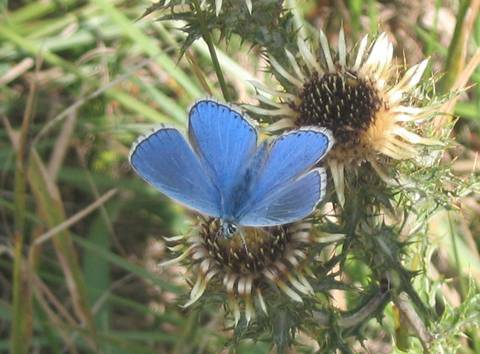 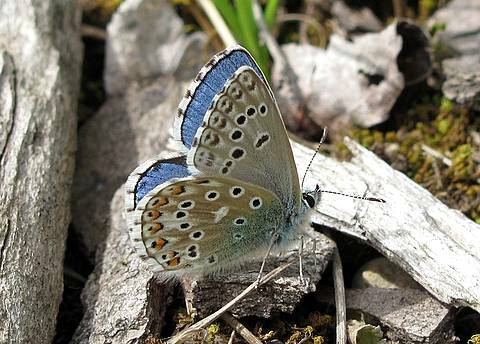 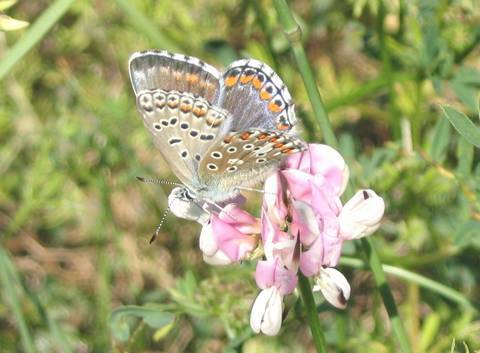 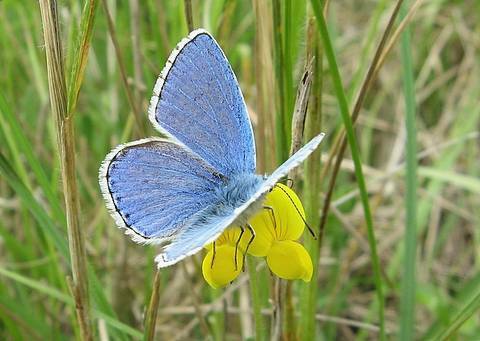 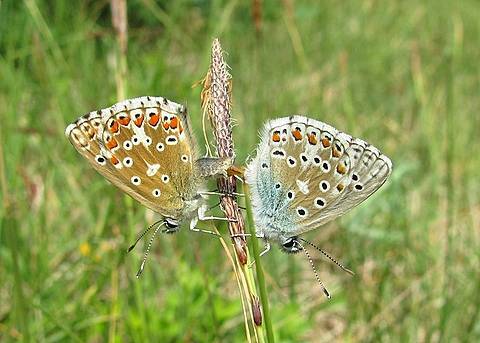 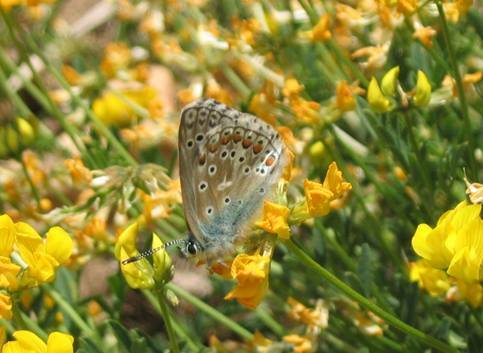 The Adonis Blue is a butterfly of calcareous grassland where it flies close to its larval food plant Hippocrepis comosa. 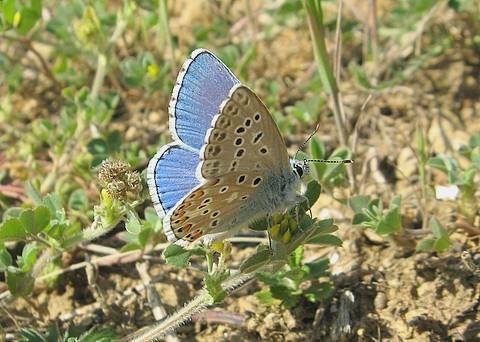 As such it's distribution is local but it can be quite common within the habitat. 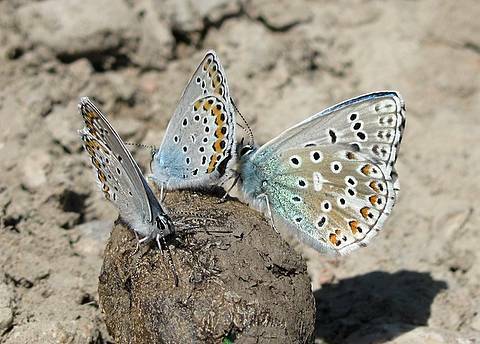 The males are a splendid bright blue and the females are brown (often with a blue suffusion) with orange marginal lunules. 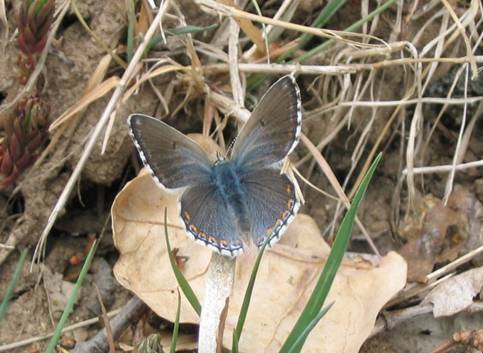 Very blue females are known as the form ceronus. 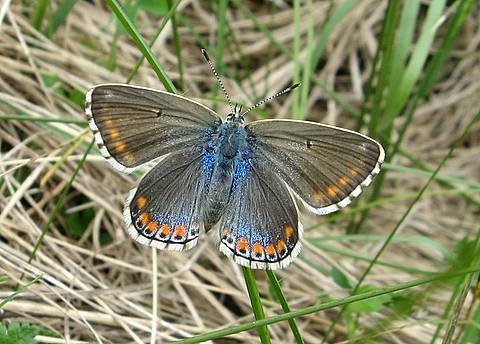 The fringes are strongly chequered as in other Lysandra species.